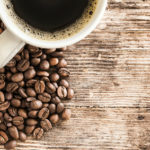 Best Espresso Beans – Experts and anti-Starbucks protesters alike, explain that the atrocity of bitter tasting coffee has to do exclusively with the roasting process! The vast majority of coffee beans roasted commercially are produced in bulk for supermarkets, coffee-chains etc. This means that they have to assure that all the beans are thoroughly roasted, which often means over-roasting and as a result, we are subjected to that disappointingly bitter taste. But the trend towards small-scale roasting is increasing in popularity among speciality roasteries, independent coffee-shops and even at home for many determined to return to the beloved organic, fresh taste and experiment more with the variety of flavours, which are otherwise lost. What’s the deal with Espresso Beans? Espresso beans are usually darker in appearance and notably oily as they are roasted longer than regular coffee bringing the oils to the surface. You get sorts that produce a crema on the surface but without this, espresso is simply a rich, strong coffee and it’s essential to use the freshest beans in order to achieve the best flavour. Older beans tend to be oilier and have a distinct odour. When it comes to your daily cup of coffee the two types of bean you need to be aware of are Arabica and Robusta. They differ in taste, their growing conditions and pricing. Arabica. Arabica are usually sweeter and softer with a higher acidity, which adds to a ‘winey’ or fruity taste. Robusta. Robusta beans pack more of a punch. They have a stronger, grain-like taste and contain double the quantity of caffeine of Arabica beans. They’re easier to grow than Arabica but are generally considered to be inferior in quality but this is subject to brand – and as with anything, there are always both good and bad. It’s just a case of doing your research – which is where we come in! Health – I know who’d have thought hey?! So apparently coffee and especially in espresso form, contains anti-oxidants as well as other ingredients, which in moderate quantities are very beneficial for our health. They boost our immune system and decrease the chances of developing heart-related conditions etc. Weight-loss – a little more understood is the energy-related benefits of coffee! And with the low-calorie option of espresso, increased energy levels from the caffeine has an added benefit of masking hunger, which contributes to more physical activity, which could help shift a few pounds! Convenience – it’s quick and easy, what more could you ask for?! Espressos are notably convenient to make with no added ingredients plus very little time to make = the coffee you love without the faff. This Lavazza Super Crema Espresso promises to bring the authentic taste of the Italian Espresso home with you. This whole bean coffee will have all your senses tingling from the perfectly roasted colour of the beans to their deep, rich aroma and long-lasting velvety taste. And with such a variety of selection to pick and choose to fit your preference, this will transform your mundane morning coffee-fix into a delightful treat you look forward to getting up for! → Get the Lavazza Super Crema Espresso on Amazon! Let me introduce you to…and I quote, ‘the ultimate wake-up call!’ Roasted from only the finest, super-premium coffee, organic beans from the Rocky Mountain, complete with Fair Trade label and with what can apparently only be described as a certifiable loyal following, this Kicking Horse Whole Bean Coffee really does promise to be the real deal. Coffee that is coffee and so much more! Produced by a company committed to no-compromise as well as to local and global conservation, who’d have thought you could be involved in saving the planet and all before your precious first cuppa! → Get the Kicking Horse Coffee on Amazon! Not for the faint-hearted! This oily, dark roast is only for the bravest of coffee lovers. This coffee bean promises to impress with the richest and freshest flavour you could ask for (and without the expected acidity) from production to packaging, to pouring your first cup of the day. And at such a great price considering the generous quantity, the precise taste of Coffee Bean Direct Italian Roast Espresso will almost certainly have you coming back for more. → Get the Direct Italian Roast Espresso on Amazon! The word that comes to mind when musing about these Koffee Kult Dark Roasted Coffee Beans is reliable – it does what it says on the tin! Organically sourced, with a rich, bold yet smooth flavour and without the expected bitterness – everything down to the resealable packaging screams reliability. An ensured unique quality and at the end of the day: fresh-tasting coffee time and time again. No brainer right?! → Get the Koffee Kult Coffee Beans Dark Roasted on Amazon! And just when you thought you’d made your mind up – bring out the wild card! Everything from the packaging design to the description is a little…shall we say unconventional? Nonetheless, Death Wish have made it their mission to produce the World’s Strongest Coffee – dark tone, highly-caffeinated (double the average quantity) and packed full of flavour. And with a no question, no hassle money-back guarantee if you’re not fully satisfied, why not give it a shot…or two?! → Get the Death Wish Whole Bean Coffee on Amazon!